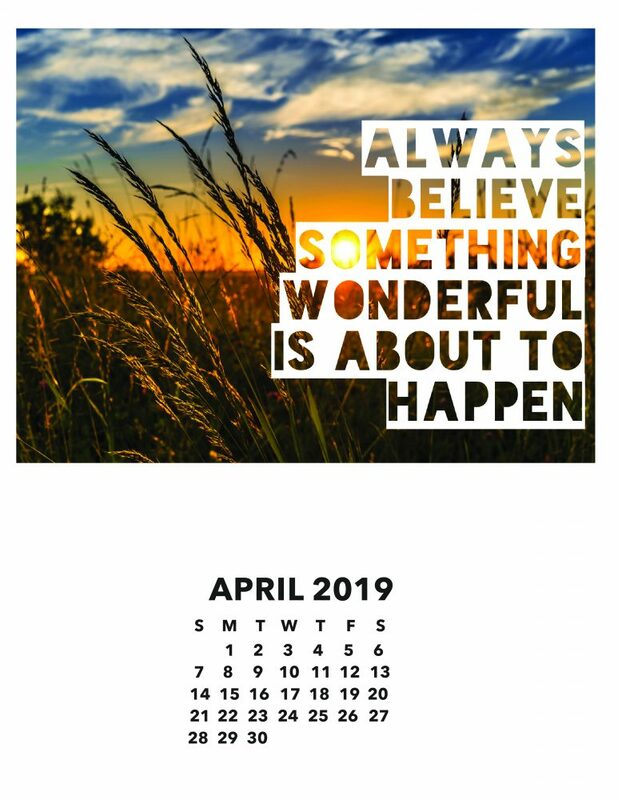 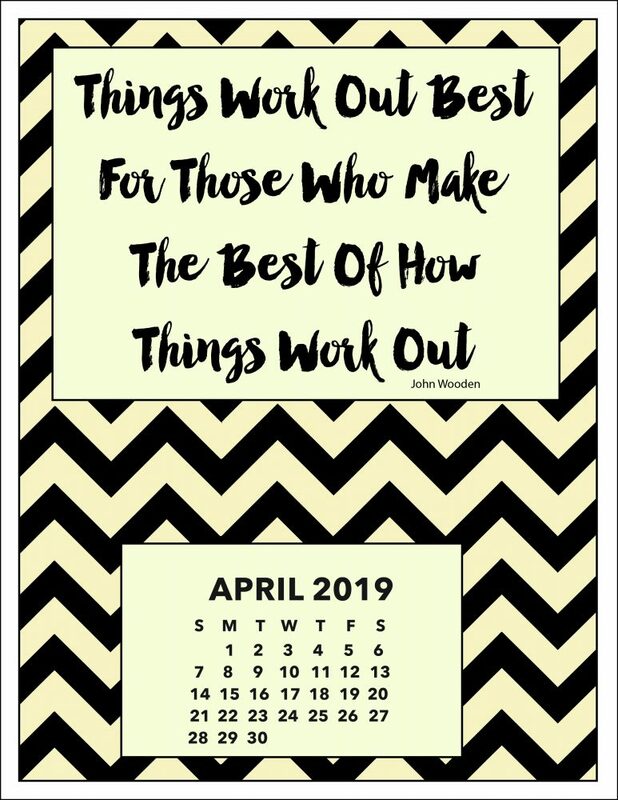 April 2019 you can download and print. 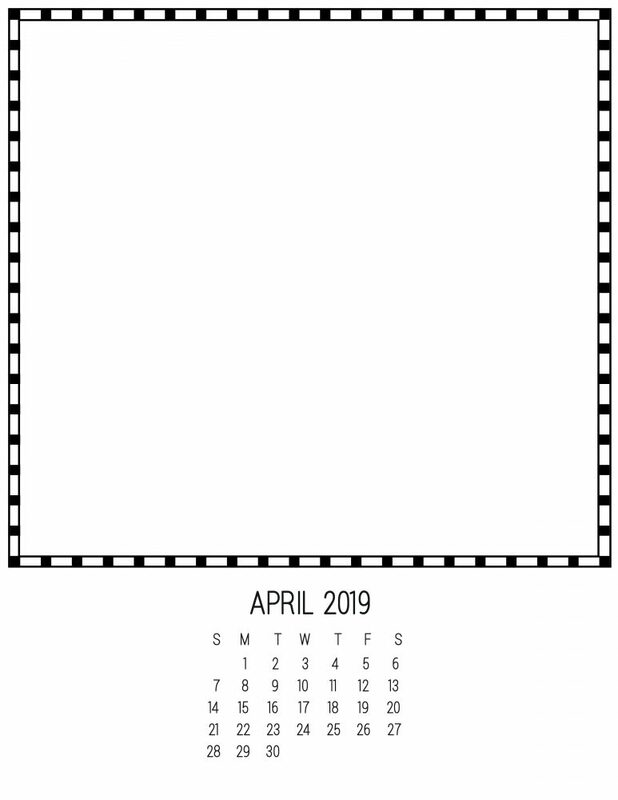 No need to print the whole calendar, just pick the calendar page you require for April. 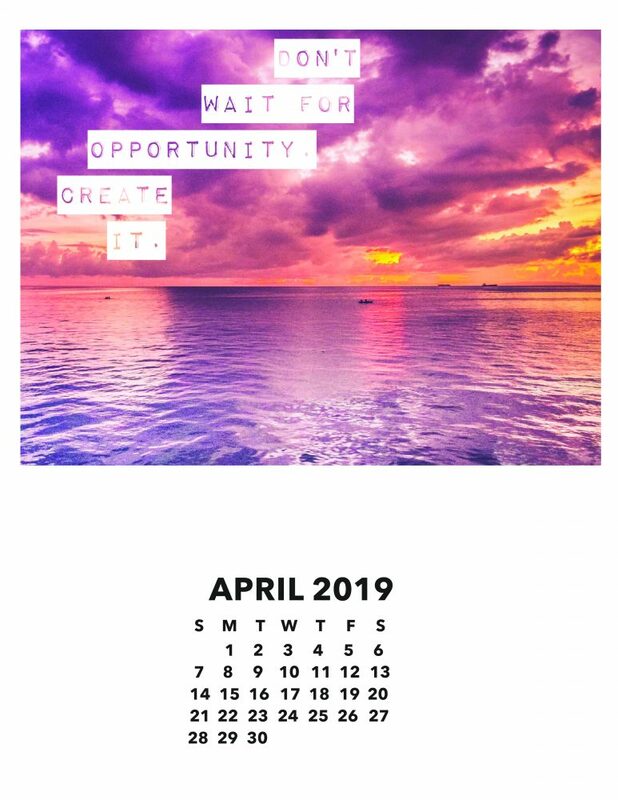 This motivational calendar has a beautiful photo with a natural landscape. 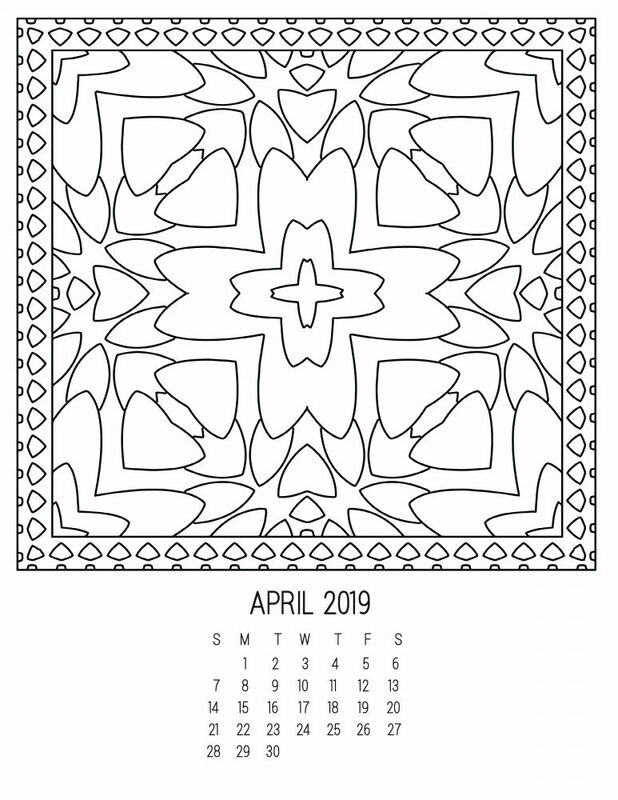 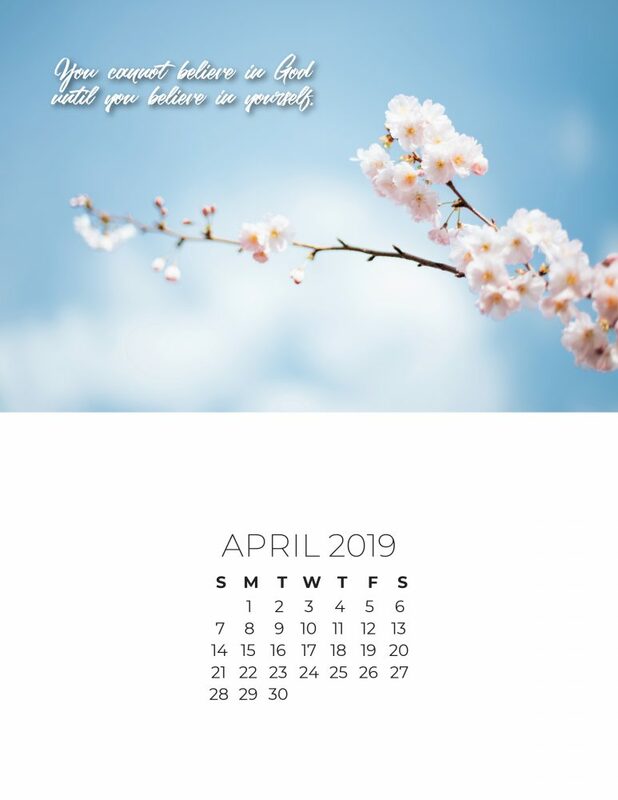 April DIY Calendar – Create Your Own!